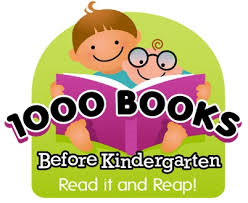 Many of our youngest patrons participate in our "1000 Books Before Kindergarten" Program. Parents of these young readers can record the books they read to their kids on sheets we've provided in 100 book increments. Each 100 books read earns the child a sticker for themselves and for our chart. At the 1000 book level, the children receive a certificate and a free book honoring their achievement. Through the generous support of the law firm of Luh and Associates in conjunction with the App Development Team of Writepole LLC, the 1000 Books Foundation has released a "1000 Books Before Kindergarten" App for Apple and Android devices. This free app makes the program that much easier by allowing users to scan the books their kids read rather than recording the books by hand. It is also possible to track multiple readers. We hope that this new, easier way to participate in this program will encourage even more of our young readers to read 1000 books. The East Troy Lions Public Library has a wonderful selection of preschool books to choose from that are perfect for this program. You may still sign up at the library and check in with us at every 100 books read to have your child chart their progress and obtain their stickers. And of course, once those 1000 books have been read, stop by to obtain your child's certificate and free book.